When the drive shaft has to be removed completely, one can land up in a real sweat. Because with some vehicles, the teeth on the drive shaft stub will only fit back into the wheel hub with great difficulty. Anyone who messes up here risks serious damage. And that can be expensive. 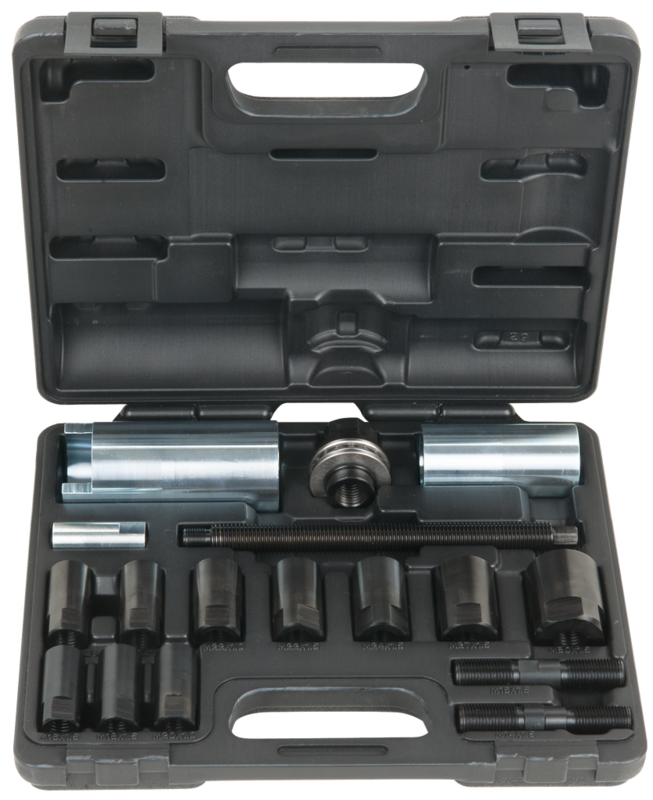 The new drive shaft insertion tool set from KS Tools helps the mechanic to carry out this work quickly and without damaging the delicate and expensive parts. The set is suitable for established vehicles and covers some 95 percent of the European vehicle population. The KS Tools product number is 150.2750. 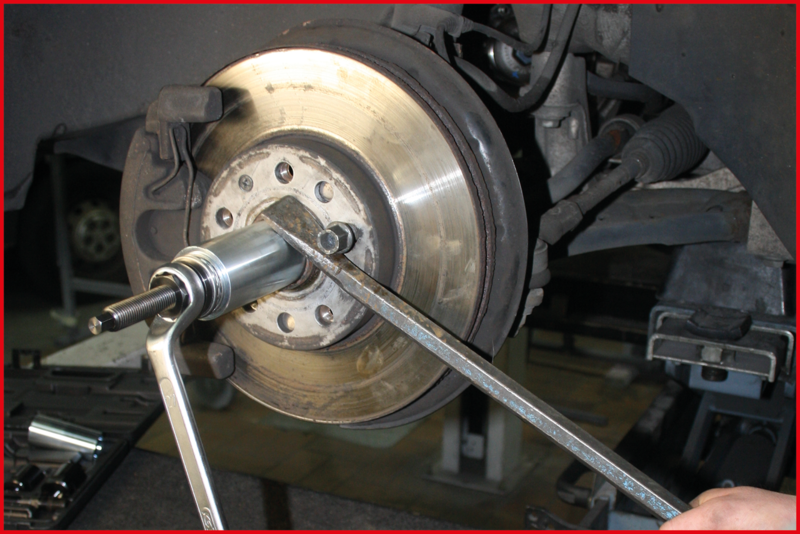 With some repairs, it is necessary to remove the drive shaft completely and subsequently refit it, for example when replacing a wheel bearing, exchanging the drive shaft joint boot or the complete drive shaft itself. 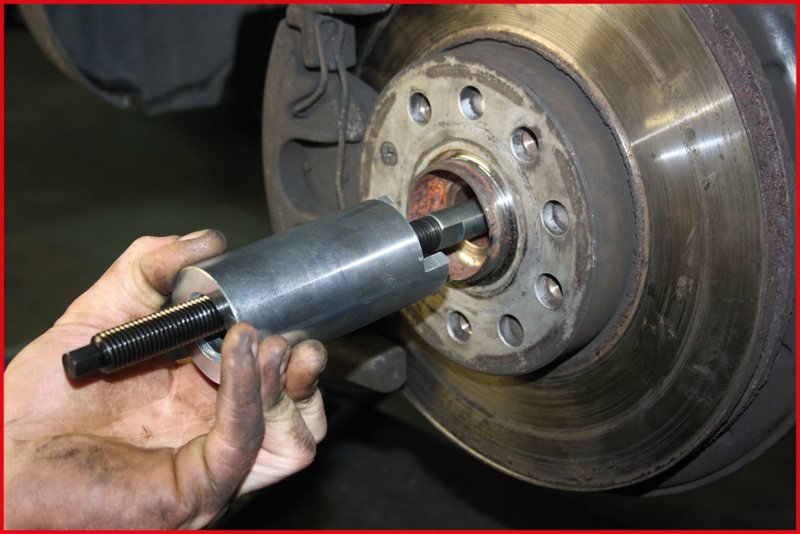 Indeed, the removal and replacement of the drive shaft doesn‘t always pass off without complications. That‘s because with many vehicles the fit of the drive shaft stub teeth into the mating profile on the wheel hub is sensitive millimetre work often accompanied by real strenuous effort. To foul up here risks damage to the teeth or to the drive shaft joint boot. And for precisely this reason, brute force is not applied. A single blow of the hammer, given that one get‘s a swing in somewhere, can have fatal consequences. This is precisely where the new tool from KS Tools helps. The drive shaft insertion tool set is suitable for inserting the drive shaft or pulling on the wheel hub. It often even happens that the keyway profile can be pushed a bit too far into the mating keyway on the wheel hub but then seizes. If one now wants to screw the axle nut onto the drive shaft stub, there won‘t be sufficient thread protruding to be able to fasten it securely. At the same time there is also the high risk of destroying the thread because the nut will be stressed while only one or two thread pitches are engaged. A delicate situation which calls for a lot of intuition. These problems occur especially with vehicles where the drive shafts are equipped with a particularly fine toothed keyway profile. Whoever uses the KS Tools drive shaft insertion tool can, to put it simply, extend the drive shaft stub and connect it to an insertion jig. This is made possible by means of the various thread adapters which are extremely thin walled so that the outside diameter is slimmer that the bore of the wheel hub. In practice, the thread adapter is screwed onto the drive shaft stub and then the drive shaft positioned as far as possible into the wheel hub. The threaded spindle is now guided from the front into the bore of the wheel hub and connected to the thread adapter on the drive shaft stub. Finally, the sleeve and the pressure nut with bearing are placed on the spindle and the insertion tool is ready. If the pressure nut is then tightened, the drive shaft will be pulled into the wheel hub keyway profile with the requisite force. Before starting to tighten the pressure nut, one should satisfy oneself that both keyway profiles can mesh cleanly with one another. The pressure bearing in the sleeve thereby minimises the friction and ensures even pulling. 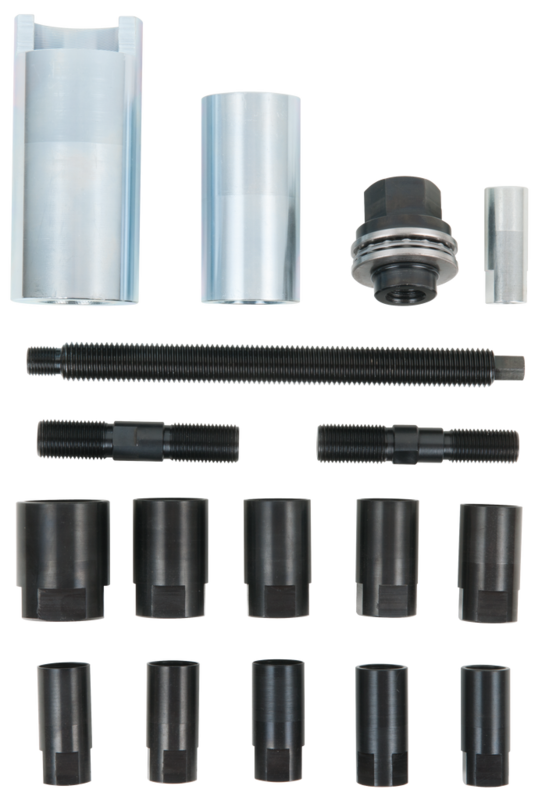 The set is supplied with ten different threaded sleeves for established vehicles. For so-called hollow shafts, such as occur in VW and Audi, an additional two thread adapters (M14+M16) are included in the assortment. The tool is supplied in a sturdy plastic case.